PAWTUCKET, R.I. & PARIS -- August 7, 2013 -- Today, Hasbro, Inc. and Ubisoft announced that Ubisoft will develop and publish current and next-generation console games based on some of Hasbro's most popular gaming brands, including MONOPOLY, SCRABBLE (in the United States and Canada only), TRIVIAL PURSUIT, RISK, BATTLESHIP and CRANIUM. "We look forward to collaborating with Ubisoft to offer consumers innovative new ways to experience their favorite gaming brands," said Mark Blecher, Hasbro Senior Vice President and General Manager, Digital Gaming and Corporate Development. "Ubisoft's leadership and expertise in the console gaming space will help support Hasbro's strategy of bringing consumers engaging play experiences with our brands across multiple platforms." "Hasbro makes games that we all know and love, and we're thrilled to be able to work with them to create video game experiences based on some of their most popular brands," said Tony Key, senior vice president of sales and marketing at Ubisoft. Pawtucket, R.I. – July 6, 2012 - At Comic-Con, the KRE-O brand from Hasbro, Inc. boldly goes where no one has gone before. Based on the upcoming STAR TREK sequel from Paramount Pictures and directed by J.J. Abrams, the KRE-O STAR TREK line, under license from CBS Consumer Products, features a variety of vehicles from the movie along with fun KREON figures based on iconic STAR TREK characters. 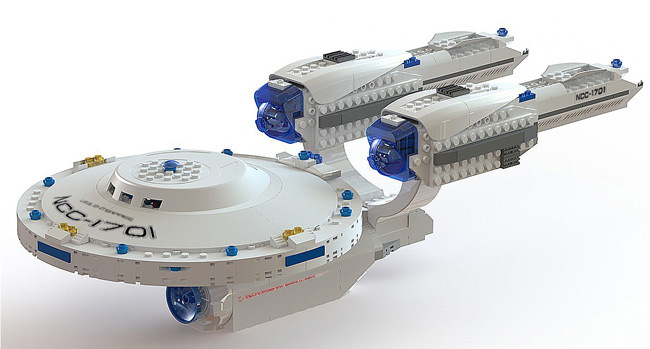 Fans will be able to see the KRE-O STAR TREK U.S.S. ENTERPRISE set and KIRK, SPOCK and BONES KREON figures for the first time in person at the Hasbro Comic-Con booth (#3213) beginning on Preview Night, July 11. PAWTUCKET, R.I. -- February 2012 -- Hasbro, Inc. will unveil a wide variety of new toys and gaming experiences at the 109th American International Toy Fair beginning Sunday, February 12 in New York City. The Company, currently in the midst of an exciting transformation into a global branded play company, will not only be celebrating the reveal of new toys and games for 2012, but also a host of immersive brand experiences including new major motion pictures, video games, theme-park rides, television programming and more entertainment and lifestyle products based on many of its popular brands. MINNEAPOLIS, Feb. 8, 2012 -- Lock, load and prepare for grand oceanic action this spring because Hasbro and Activision Publishing Inc., a wholly owned subsidiary of Activision Blizzard Inc., proudly present the BATTLESHIP™ videogame developed with Double Helix Games. Inspired by the classic naval strategy game, this seek-and-find adventure is taken to spectacular new heights. As a stand-alone story from Universal Pictures' upcoming epic action-adventure of the same name, the BATTLESHIP videogame offers a blend of strategic naval command and first-person action gameplay. "We're geared up for an outrageous sea and land conflict with the all new BATTLESHIP videogame," said David Oxford, Activision Publishing. "Inspired by the film's exciting action and stunning backdrop, the game is next-gen naval warfare that thrusts players into the middle of humanity's last stand against an unfamiliar menace."